Amy grew up in Iowa, where she attended Iowa State University for both her undergraduate and veterinary degrees. As a youngster, she was busy on the family farm, raising horses, cattle and all kinds of small animals. After graduation, Amy began an equine veterinary internship near Three Forks. Loving the area, she decided to stay in the Gallatin valley. She has extensive experience in both equine and small animal practice. Amy is certified in veterinary acupuncture and has completed her chiropractic training and is really excited to use these complimentary modalities to treat her patients. When not working, Amy can be found playing with her horses, hiking, fishing and baking. She especially loves to be outdoors with her family, friends, dogs and camera. Dr. Laurie Ann Lyon grew up in North Carolina. She attended North Carolina State University where she received an undergraduate degree in Animal Science, and a Doctorate of Veterinary Medicine. She attributes her desire to explore veterinary medicine as a career, to farm life, 4-H, and nurturing veterinary mentors from the time she started working in a veterinary clinic at the age of 16. After graduating from veterinary school, and working in the food animal department briefly, she joined a mixed animal practice in rural North Carolina where she worked for 5 years. She moved to Bozeman 10 years ago, and has been practicing companion animal medicine in the area since then. 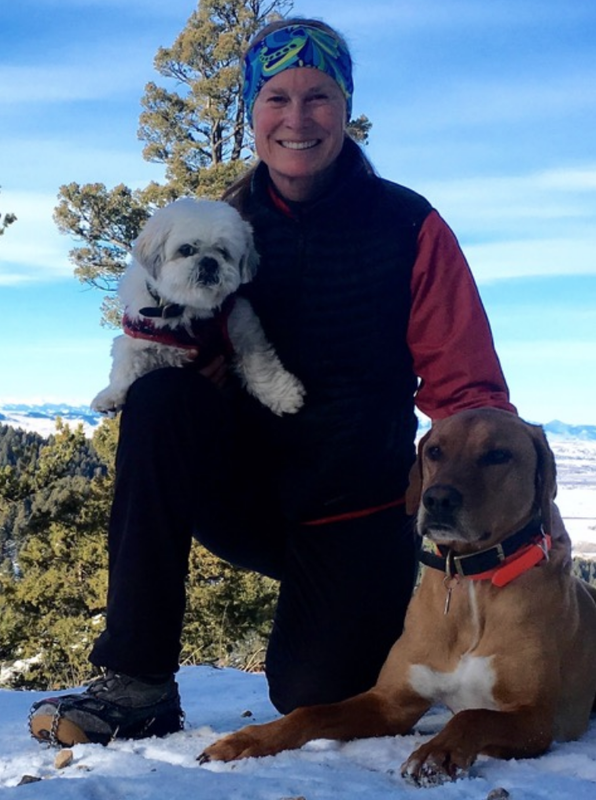 She appreciates the dedication Montanans have toward their pets, and their drive to keep them healthy, on the trails and back at work. She is seen often around the Valley hiking with her ​​​​​​​four year old Mastiff and her two year old friend from Heart of the Valley. Kari grew up in Bozeman, Montana. She had an outdoor family where being active wasn’t a choice it was a life style. She grew up hiking, camping, canoeing, nordic and alpine skiing. Her nordic skiing career started at the age of 15 and lasted through 3 Biathlon World Championships. She retired from the USA biathlon team to pursue her other life passion of helping animals. 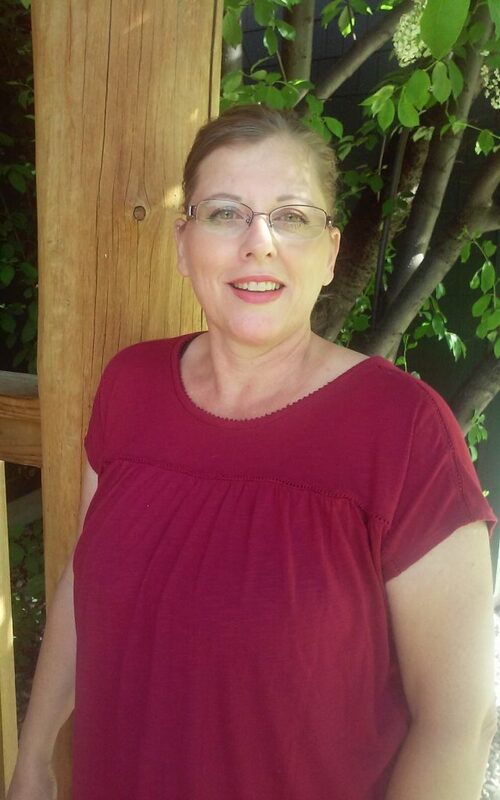 Kari attended Colorado State University Veterinary School and has been practicing small animal medicine since 1990. Her interests lie in preventative and geriatric medicine, oral and periodontal health and general surgery. Kari continues to be involved in skiing and Biathlon by coaching and mentoring young athletes in the Bridger Biathlon Club. 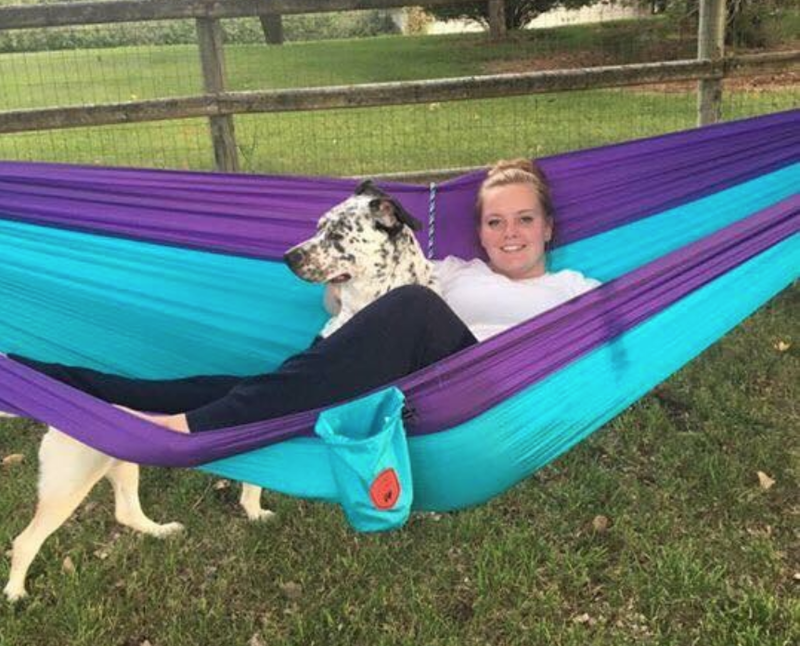 She continues to spend time enjoying the outdoors with her family, friends, dogs and horses. Kim is originally from the Chicago suburbs. In 2006 she moved her husband and family to beautiful Montana. She does not miss Chicago’s traffic or humidity. Kim enjoyed work as a middle school teacher and small animal technician while in Illinois. She is working toward her veterinary technician certification through Purdue University’s distance learning program. Kim is happy to be part of the Black Dog team. In her spare time, Kim can be found hiking the trails with her family and trio of dogs. Julie was born and raised in Bozeman and feels truly lucky to call this place “home sweet home”. After graduating from MSU as a Registered Nurse, she decided to trade bed pans for litter pans about 15 years ago and hasn’t looked back! She graduated from Bel-Rea Institute of Animal Technology and is a Certified Veterinary Technician. The best part of her job is nursing her patients back to health. In her time away from the clinic, she tries to keep up with her growing daughter, spending time with her family, biking and hiking. Lisa was born in Northern California on a large family ranch. She was the 9th generation to be raised on the ranch that grew pears, walnuts and Hereford cattle. Lisa moved to western Montana in 1980 at age 13 and has been here ever since. She has 3 children and 2 grandchildren. She has held a variety of jobs and had many careers. She is most excited about working with Black Dog Veterinary Services because of the great energy of the staff, Dr. Kafer’s vision for the clinic and the fantastic clientele. Lisa feels so very fortunate to be able to enjoy coming to work everyday. 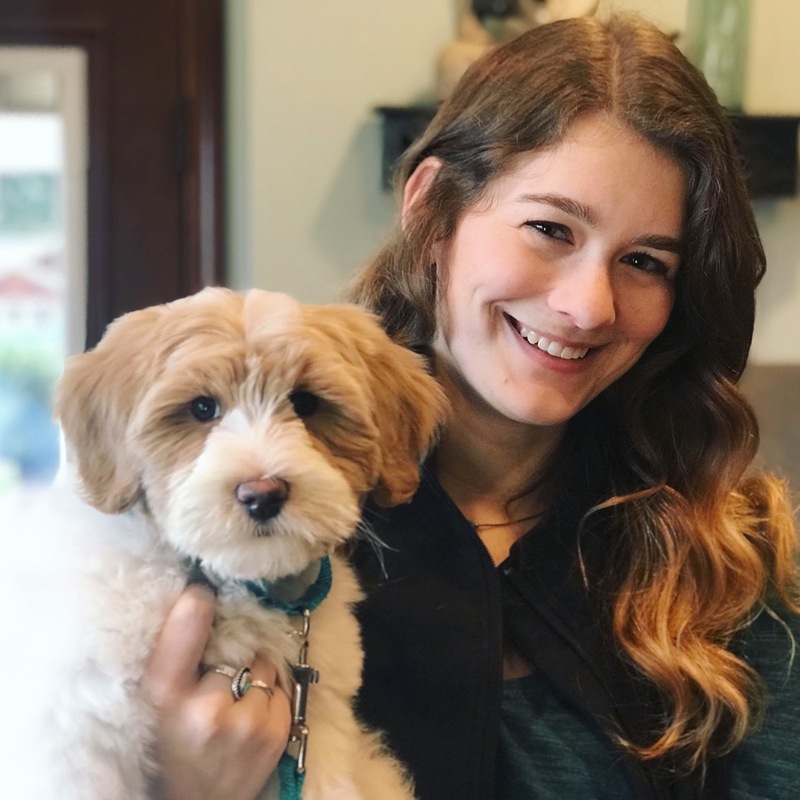 Julia was raised in Oregon and graduated from Oregon State University with a degree in Animal Science in 2018. She moved to Montana in January 2019 with her husband. 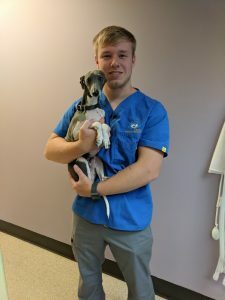 Julia is excited to work at Black Dog Veterinary Services to learn more about veterinary medicine as well as getting to work in a such a dynamic environment. In her spare time she enjoys doing leatherwork and spending time with her husband.